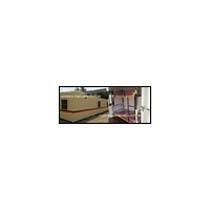 We are the elite and the most trusted manufacturer and supplier of Prefabricated House based in Karnataka, India. We make use of best quality raw materials along with advanced machinery to design Prefabricated House. Prefabricated House is widely used at construction sites and other large scale project sites. We offer these houses in a variety of styles, designs and dimensions. These Prefabricated house supplied by us are not expensive and have high utility.